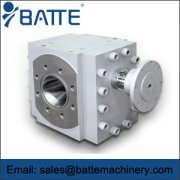 Driving shaft seal is to prevent a large number of melt leakage, for the inlet of a negative pressure melt pump, driving shaft seal also plays a role in preventing outside air into the pump cavity. 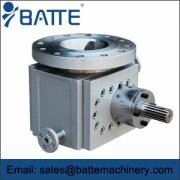 There are many forms of shaft seal of melt pump. 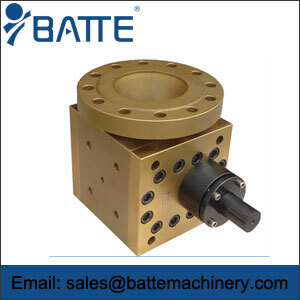 Lantai melt pump drive shaft seal device is mainly composed of shaft sleeve, lubrication spacer ring, sealing filler, labyrinth seal ring. 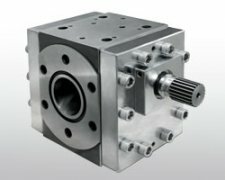 The pressure regulating valve plays a key role in the packing sealing melt pump. 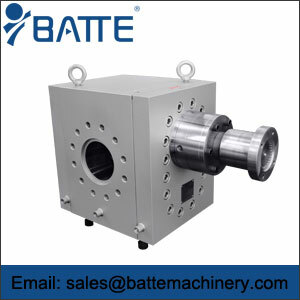 When the pressure of the melt pump is too high, the liquid inside the pump will leak through the labyrinth ring and the packing layer, that is to say, the melt will leak out. If the pressure of the pump is too low, the silicone oil lubricating the packing or the outside air will enter the liquid of the melt pump. If the inlet of the pump body is negative pressure, the pressure at the packing seal should be kept higher than the external atmospheric pressure. If the pressure of the pump body outlet suddenly decreases, the pressure of the pressure control valve should be adjusted in time, that is to say, the pressure of the pump body outlet drops below the prescribed value, and the air will be sucked into the process system. The danger is that the swing of the pellet bar and even the breakage of the wire will affect the appearance of PET, and the second is that if the operator does not have the wire breakage. Timely cleaning will occur in the shearer chute stacking, the third is non-filler lubricant (silicone oil) will be all into the PET melt. If the pump pressure is higher than the prescribed value, the PET melt will flow through the labyrinth ring, filler, sealing spacer ring to the outside world, the greatest danger is to seal the seal spacer above the lubricant (silicone oil) guide groove and guide hole plugging, filler sealing box temperature is much lower than the temperature of PET melt, PET melt will be solidified in the seal room. On the spacer ring, the external lubricant (silicone oil) will not enter the surface between the packing and the axle sleeve.